LONDON – Is it a ceasefire, a truce or the opening to a lasting peace deal? 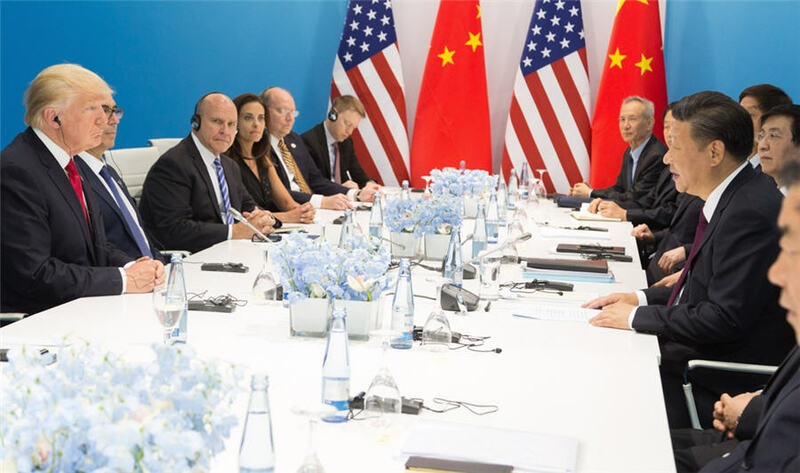 The jury is very much out on exactly what Presidents Donald Trump and Xi Jinping agreed during their talks at the G20 summit in Buenos Aires. But for industrial metals it's enough. The Chinese version of this weekend's meeting, however, was curiously silent on the 90-day hiatus. Other than noting that "the two sides decided to avoid escalation of trade restrictive measures", official Chinese news agency Xinhua did not go into many details at all. One of the reasons metals such as copper were sold so heavily when the trade tensions began to escalate around the middle of the year is because of their sensitivity to China's economy. And even as the threat of further tariffs recedes, a Chinese slowdown looms ever larger. The country's manufacturing sector stalled for the first time in two years in November, the purchasing managers index sliding to the dividing line between growth and contraction. The metal markets are looking for Beijing to respond with infrastructure-heavy stimulus. Until it does, "demand conditions may well worsen" through year-end, to quote analysts at BMO Capital Markets. They noted, moreover, that "wider activity across Asia put a dampener on economic prospects, with factory activity and export orders weakening across the region in November". Against this backdrop the G20 "agreement" may be enough for bearish funds to reduce short positions, but it is unlikely to turn them bullish. Nor will it persuade the uncommitted that now is the time to buy into metals. The disconnect has been manifest in contracting LME time-spreads with shorts having to manoeuvre in a shrinking LME stocks landscape. Funds sold out of zinc's bull rally in the first quarter and have been collectively short ever since. However, the supply-side driver of that rally – a shortage of mined production – is still working its way through the physical marketplace. New mines may be starting to refill the supply pipeline, but the refined metal part of the chain looks stressed out. Total inflow last month amounted to only 8,475 tonnes, not enough to stop headline inventory sliding to today's 10-year low of 112,575 tonnes. This micro-macro tension has been a running theme of the LME market this year and looks likely to continue a while yet. The cancellation of another 4,250 tonnes leaves on-warrant stocks at 84,350 tonnes, most seemingly owned by one entity, according to the LME's positioning reports. More copper has been arriving in LME sheds, but it hasn't been enough to stop inventory sliding to a multi-year low of 134,200 tonnes with on-warrant stocks lower still at 91,850 tonnes. There is always more metal beyond the LME storage network, but it's not a lot of use to anyone shorting the time-spreads. The aluminium cash-to-three-months spread tightened last week from a contango of $14 a tonne on Monday to a contango of only $0.75 at Friday's close.